Luke Schwieterman, President of Schwieterman, Inc. a commodity brokerage firm in Garden City, Kansas, was born and raised on a farm in Syracuse, Kansas. Luke graduated from St. Mary's of the Plains College. In 1975, Luke became a commodity broker for Heinold Commodities. In 1988, Luke started Schwieterman, Inc. Since then, it has grown to 8 brokers with branch offices in Wichita, Ashland, Meade, Hutchinson, and the home office in Garden City, Kansas. 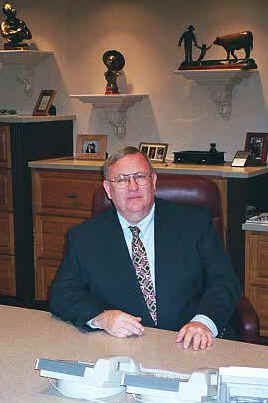 In February 1997, Luke started Schwieterman Marketing LLC as an additional service to offer his clientele. At Schwieterman Marketing a trained marketing advisor assists farmers in providing written marketing plans for production to present to lenders. This service includes cash flows, lease development, crop selection, crop insurance, and government programs. Luke is thoroughly enjoying the challenges of business and farming. His favorite saying: "You get all you want out of life by helping others get all they want."